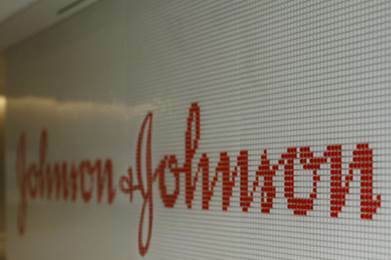 Johnson & Johnson has been talking up the benefits of its JLABS incubator strategy for R&D collaboration for some time. To build on this, JLABS is further expanding with the goal of accommodating up to 30 life science start-ups in the new Belgium site. A year ago the company indicated it had signed more than 230 partnerships with life science companies as a result of JLABS – with more than 200 companies operating at its then eight sites east and west coasts of US and Canada. In the last year it has seen the number of hosted companies swell to more than 330 and these have raised a whopping $9.4bn in capital. Now J&J has a European JLABS site in Beerse – its tenth after it opened its Shanghai site towards the end of last year – that it says will accommodate up to 30 life science start-ups “focused on innovations across the entire healthcare spectrum, including biotech, pharmaceuticals, medical devices, consumer and health tech sectors”. It’s not a high stretch for the pharma company, as the Beerse location was already a J&J incubator called JLINX having been set up in 2016 as a partnership with Bioqube Ventures, and is located on the R&D campus where J&J’s pharma division Janssen was set up more than 60 years ago. The switch to JLABS status is significant, however the Beerse site will operate under the same “no strings attached” premise as the other nine locations – in other words providing “infrastructure, expertise and funding opportunities” but leaving the incubator companies free to partner as they choose. While most pharma companies have the ability to tap into early-stage companies through incubators and venture capital funds, the scale of J&J’s approach to what is sometimes called ‘open innovation’ is considered to elevate it above others. The 10 JLABS operate alongside four innovation centers located near academic R&D hotspots in the US, UK and China as part of a global network trying to develop close ties with groups working on new therapies at early stages. J&J then has the opportunity to identify and nurture promising projects and – hopefully – be at the front of the queue for licensing and acquisition. “Our goal is to attract the best and brightest talent in science and technology,” commented J&J’s head of global external innovation. The JLABS project enables us to “work with partners in healthcare to help start new, highly innovative companies, providing a wealth of incubation options for our partners and insights to new innovation for our businesses around the globe”, he added. Historically J&J has sourced around half its R&D projects externally, but has steadily been pushing that proportion higher since launching its open innovation drive a few years ago.